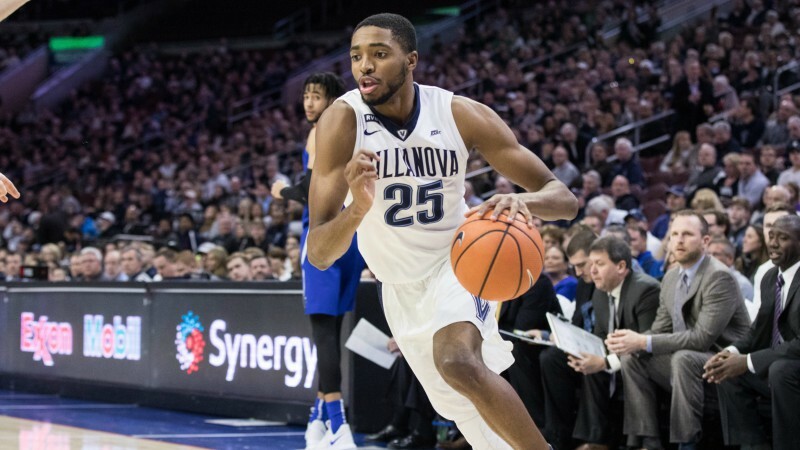 As we sweat out the final games this evening, let’s take a look at a few on tomorrow’s slate that may be on wiseguys’ radars when the sun comes up. Be sure to subscribe to our newsletter to get all the info you need to bet Wednesday’s games. John Ewing highlights a profitable trend that applies to three games involving top teams. Why the public will love Xavier: You know the only thing square bettors love more than ranked teams? Top-five teams. Add in Xavier’s significantly better record (24-4 vs. 15-10) and the 6.5 points will see like nothing to Joe Public. Why sharps might like Georgetown: Xavier is coming off a big loss to Villanova on Saturday. While a square bettor could look at that and say, “There’s no way a 24-4 team can lose two in a row,” sharps might see it a bit differently. Looking to take advantage of that gambler’s fallacy, wiseguys will be more likely to assume that any potential bounce-back has already been incorporated into the line, or simply does not exist. Also worth noting: When these teams met at Xavier earlier this month, the Musketeers needed overtime to pull out a five-point win. They were 14-point favorites in that game. Why the public will love Texas Tech: In almost an identical case to the game above, square bettors are given an opportunity to take a highly-ranked team laying just a few points against an opponent with a far inferior record. Texas Tech is 22-5 overall and 10-4 in conference, while Okie State is just 15-12 and 5-9 in the Big 12. Why sharps might like Oklahoma State: The Cowboys have seemed to bring their “A” game against some of their better opponents this year. They won outright on the road against both Kansas and West Virginia, and knocked off Oklahoma at home (though that win seems to look less impressive by the day). These two teams have also played in the past month. Though Texas Tech was home, the Red Raiders, like Xavier, only pulled out a five-point win. Why the public will love Cal State Fullerton: This one comes down to records. UC Riverside is 7-19 overall, and 2-10 in the Big West, good for dead last. Fullerton is 15-9 overall and 8-4 in conference, sitting in fourth place. The 4.5-point spread might as well be a mortal lock to a square. Why sharps might like UC Riverside: The Highlanders have been playing better basketball recently, with their only two conference wins coming in their past four games. They also haven’t lost by more than 10 points since Jan. 24, so they’ve been playing teams closely as of late. At the end of the day this comes down to a simple idea: There’s a reason that this line is only 4.5 points. While I may not know exactly what that reason is, I can promise you it’s not to hand out free money to square bettors. Why the public will love USC: Public bettors love them a big-name school. USC offers that along with a superior record, at 19-9 overall compared to Colorado’s 15-12. The Trojans have also fared much better in conference at 10-5 to Colorado’s 7-8. 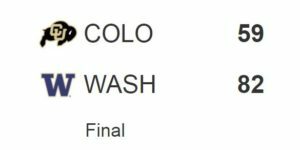 Squares tend to bet based on the last thing they saw, which, for Colorado, was not pretty. Laying only 3 points, this is another “easy win” for square bettors. Why sharps might like Colorado: Plain and simple, the Buffaloes are tough to beat at home. Now at 11-2, the only two teams in the Pac-12 with better home records are Arizona and UCLA. Not bad.